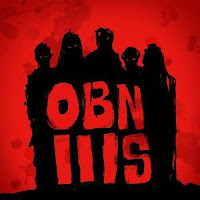 OBN IIIs have more or less been quiet for a majority of 2012, but this new self-titled album makes up for all that time, again and again. As far as their sound goes, they haven’t missed a beat, retaining their endlessly exhilarating rock and roll spirit with the fury of some of the rowdiest punk rock. The difference this time around would probably be that things are not as straightforward overall as they were on their debut LP The One and Only. In the long run these new tracks are longer, making for an overall lengthier record and giving the band more time to experiment and progress their filthy, snarling, punk n' roll sound with some new ideas (styrofoamdrone.com). We have some copies of the vinyl in the store now, come on down and grab one - get a preview of the record first by listening right here!